COPPER MOUNTAIN, Colo. – Oct. 12, 2017 – Swiss Alpine skiing has never been more accessible thanks to a new reciprocal partnership between Copper Mountain and Verbier 4 Vallées, one of the largest ski areas in Europe. Included with 2017-18 season passes to Copper Mountain are five complimentary days of skiing and riding when booked with five nights of lodging at the premier ski resort in Switzerland. Located two hours from Geneva, Verbier is perhaps most known for its size, off-piste terrain offerings and spectacular scenery. The resort also boasts a chalet-style village with a rich variety of restaurants, shops, bars and clubs. Many world-class skiers and riders have moved to Verbier simply for its vibe and challenging terrain. 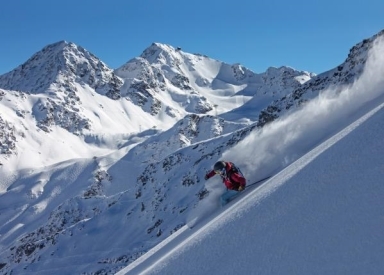 Verbier’s season kicks off on Dec. 4 and lasts through April 29, 2018 giving Copper passholders plenty of time to plan their dream European ski vacation. As part of the reciprocal partnership, travelers who plan to take advantage of the pass offer will be able to choose from a variety of lodging accommodations offered by Verbier including hotels, guest houses, chalets and cabins. To learn more visit coppercolorado.com. Located just 75 miles west of Denver, Colo. in the heart of the Rocky Mountains, Copper Mountain Resort is an ideal vacation destination with a laid-back, inclusive feeling for all. Three pedestrian-friendly village areas provide a vibrant atmosphere with lodging, retail outlets, restaurants, bars and family activities. During the winter months, Copper’s naturally-divided terrain offers world-class skiing and riding for all ages and abilities. Each summer, the mountain transforms into an unspoiled playground for hikers, mountain bikers and all those seeking a genuine Colorado experience. Copper Mountain Resort boasts a jam-packed event calendar year-round and is home to Woodward Copper – a lifestyle and action sports progression and training facility. Copper Mountain is part of the POWDR Adventure Lifestyle Co. portfolio.